Stocks bounced back Thursday as investors focused more on strong corporate earnings from tech companies and healthy economic data as opposed to continuing tumult in emerging markets. 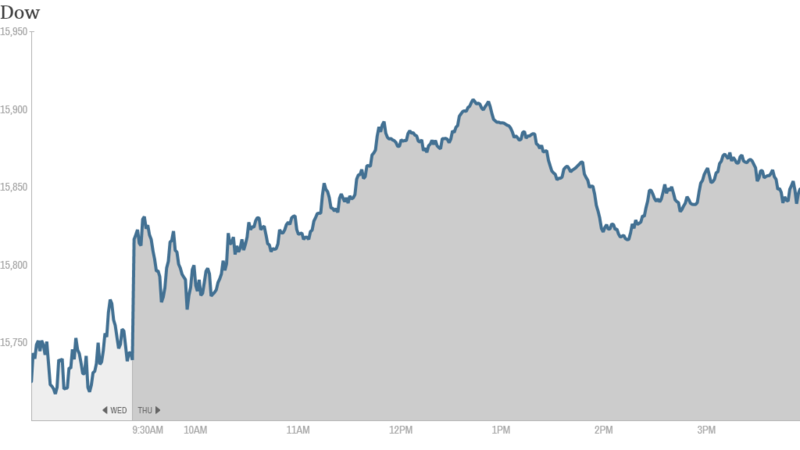 The Dow rose more than 100 points, while the S&P 500 and Nasdaq both gained more than 1%. The U.S. government reported that the economy grew at a solid 3.2% pace in the fourth quarter, driven by strong consumer spending and exports. That figure beat economists' expectations, and although it's not indicative of gangbusters growth, the data seems to show the economy is moving forward modestly. Stocks sold-off Wednesday after the Fed said it was cutting another $10 billion per month from its economic stimulus program. Investors were disappointed the central bank didn't address the recent trouble in emerging markets. Stocks around the world have been rattled in this week as investors worry about an emerging markets currencies sell-off sparked by a reduced flow of cheap money. Earnings season in full swing: Visa (V) shares rose on better-than-expected results. The credit and debit card processing company has the biggest weighting in the Dow. $V You can always count on this company," said DomLuminous on StockTwits. Facebook (FB) shares soared 14% to a new all-time high following strong quarterly sales and earnings. The social media giant's results showed the company has made huge strides in mobile advertising, an area that previously worried investors. But traders are happy now. "As the world goes mobile, so does its social network...$FB," said d_ramsden. $FB bottomline: proven business model with tons of growth potential - no brainer," said chirokarras. Shares of rival Twitter (TWTR), which reports its results next week, also soared. The two stocks were the biggest gainers in CNNMoney's Tech 30 index. But investors weren't as impressed with results from two other tech giants after the bell Thursday. Google (GOOG) was flat in after-hours trading after the company's earnings came in below estimates. Google announced Wednesday that it was selling its Motorola Mobility smartphone business to China's Lenovo for $2.9 billion. Amazon (AMZN)tumbled 7% in after-hours trading after its earnings and sales came in below expectations. However, shares of Mexican restaurant chain Chipotle (CMG) jumped 10% after-hours as fourth quarter sales surpassed estimates. 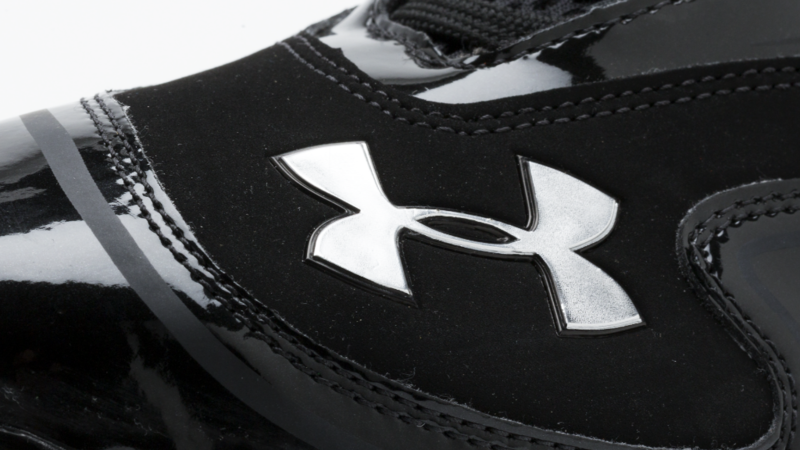 Shares of Under Armour (UA) surged 23% to a new record high after its earnings blew past Wall Street expectations. In an interesting take, some StockTwits traders surmised the gains were weather-related. The company did cite strong sales of fleece, gloves and headwear. "$UA Love this in the winter. Always outperforms," said SlavaK. "Polar vortex might have helped sales," said BeckyHiu, referring to the unusually frigid temperatures that have gripped much of the country in recent months. But things are looking increasingly bleak for struggling retailer J.C. Penney (JCP). The stock plunged 8% to its lowest level since February 1981. There was no specific news to move the stock, but investors have been watching the company closely to see if it can execute on its much hyped turnaround strategy. European markets closed mostly higher, but Asian markets ended in the red. Japan's Nikkei dropped 2.5%.